Beatrix Potter was an illustrator and author of children's books. She attended the National Art Training School. Although she had no formal education, Potter was self-educated in most branches of the natural sciences. Beginning in her twenties, Potter took an interest in mycology and wrote several papers based on her findings. In 1902, she released her first book The Tale of Peter Rabbit, which was an immediate success. Potter went on to publish a total of 23 books. She later purchased Hill Top Farm in Near Sawrey, UK. 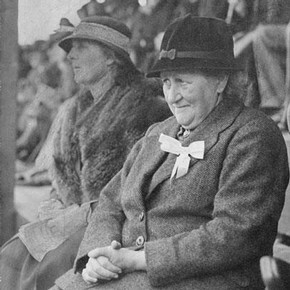 Beatrix married William Heelis in 1913. Potter died in 1943. Image from the Victoria, and Albert Museum. "Biography." Introduction to 20th-Century Fashion. 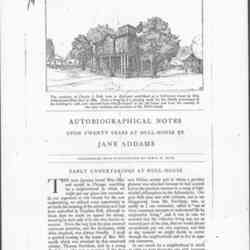 “Potter, Helen Beatrix (1866–1943),” Jane Addams Digital Edition, accessed April 21, 2019, https://digital.janeaddams.ramapo.edu/items/show/6260.